The Eco Garden is one of the greatest gifts of the Hon'ble Chief Minister of UP State Government, for children/adults, and for tourists from all over the world. 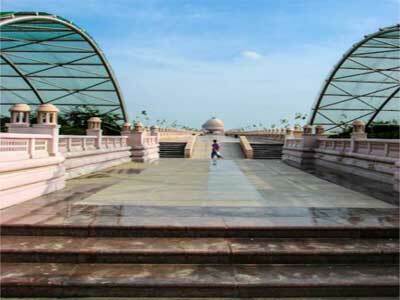 Spread in over 112-acre land, Eco Garden is one of the most desired place for all walks of life . It is now one of the biggest ecological parks in the world, which has been designed to protect the environment from the increasing pollution in the city. 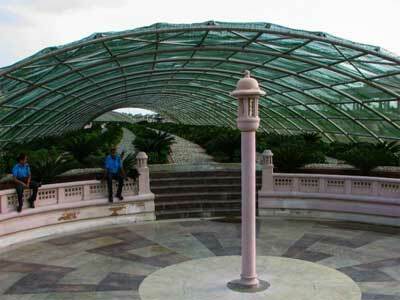 Apart from various beautiful fountains, green hills, a “Green House” is one of the major attraction. The above has been used to cover the Green House Area from the top.